I had just completed seventh grade when my parents took us four kids on our first big trip “out west.” It was my grand introduction to the spirituality of travel. My father constantly encouraged us to “pay attention to everything.” As I observed weather patterns, ever-changing geography, and the variety of plant and animal life, I also began paying attention to the language, dress, culture, and habits of the people in the places we visited. Especially enthralled by Yellowstone, Arches, Glacier, and Grand Canyon National Parks, I reveled in the handiwork of God around every corner and always wanted to keep hiking when it was time to turn around. I announced one night that I wanted to be a national park ranger when I grew up. After my first overseas trip in high school with my church youth group, I realized that if I learned other languages, I could better connect with people around across the globe and celebrate that we are more alike than different. By participating in mission trips at home and abroad, I understood the importance putting my faith into action but also struggled with the danger of inadvertently exploiting the very communities we hoped to help. While studying music in Germany during college, I developed deep friendships and came to embrace a much simpler and meaningful life. This made it extremely difficult to return to our much more consumer oriented society in the US. Gary and I just returned from a vacation in Costa Rica, and I am still reflecting on the spiritual impact of the land and its people. The national motto of Costa Rica is pura vida, which literally means “pure life.” Costa Ricans use this phrase to greet people, convey gratitude, and express the value of living simply. 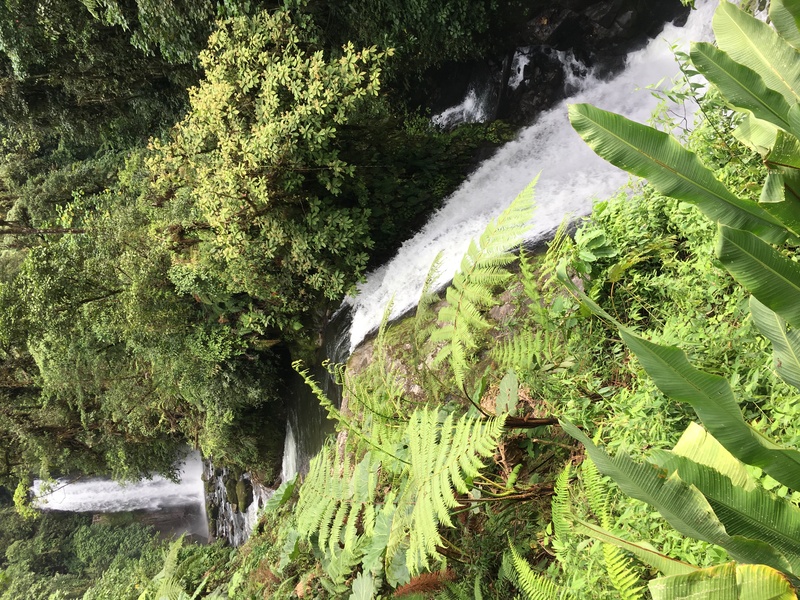 I experienced in Costa Rica a people who enjoy life, are not obsessed about “getting ahead” or competition, and are deeply connected with the land. 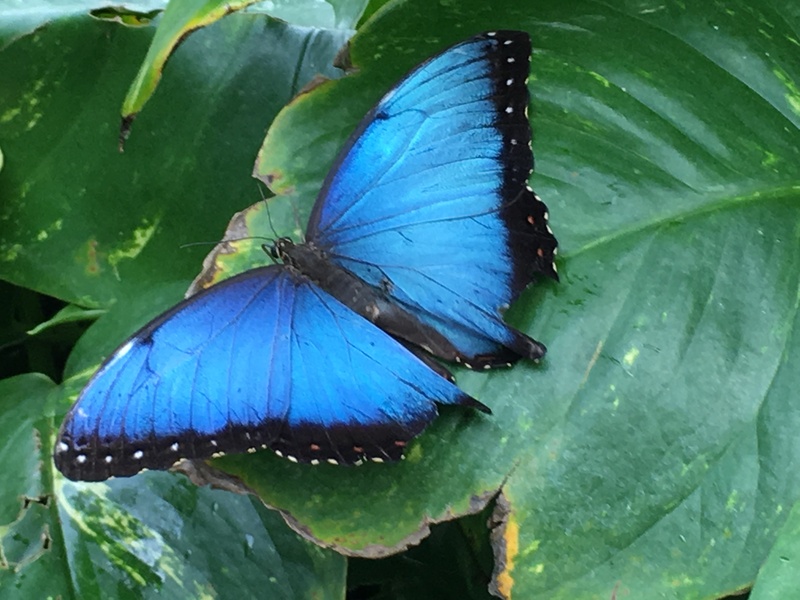 For a country that is smaller than Lake Michigan and has 4.9 million people, Costa Rica leads the world in ecotourism, environmental imagination, and living in harmony with all of God’s creatures. 25% of CR’s land is owned by the government, including 27 national parks, 58 wildlife refuges, and many other protected areas that enhance the distinctive and diverse natural habitats found throughout the country. 98% of Costa Ricans can read and 66% have a university degree. 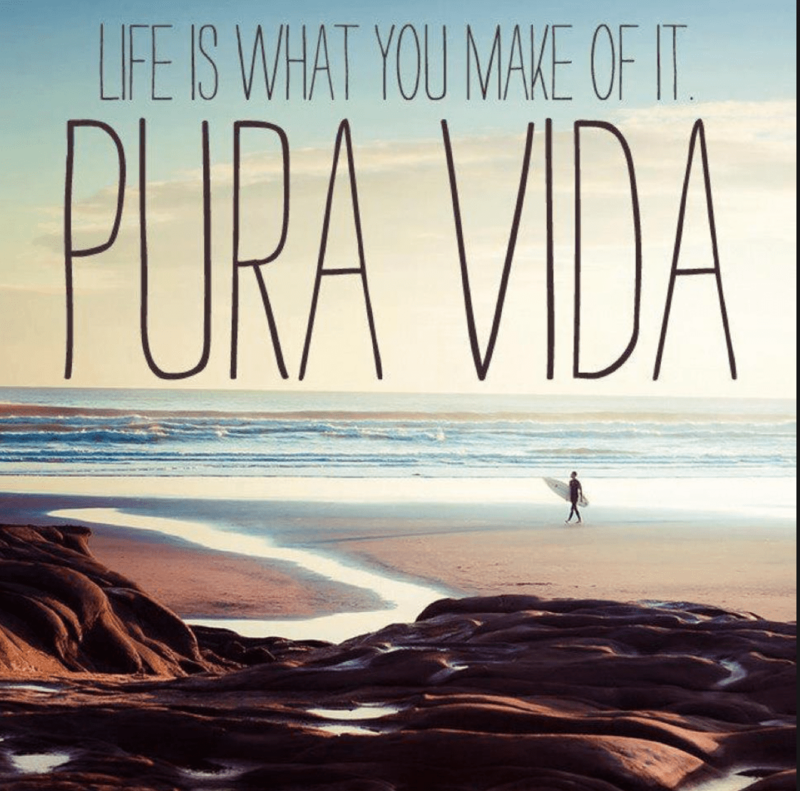 Pura vida is an intentional acknowledgment of Costa Rica’s intimate connection with the environment and each other. As I reflected on my opportunity to visit Costa Rica, I wondered, “How can we recover a sense of pura vida in our country and world? How can we do better? What will it take for us to realize that we have one precious earth that is shared by 7.5 billion people and countless other living creatures and that it is our human responsibility to care for it? What will it take for the US to have a national health care plan that prioritizes caring for the most vulnerable among us rather than giving tax breaks to the wealthy? What will it take to engage each other in open and honest conversation around issues that threaten to divide us, such as racism, immigration, poverty, world religions, human sexuality, and creation care? To put it more simply, as people of faith, how can we ensure that all people experience pura vida? What is our responsibility as human beings created in the image of God to “have dominion over the fish of the sea and over the birds of the air and over every living thing that moves upon the earth” by embracing and witnessing to pura vida? In Krista Tippett’s 2015 book, Becoming Wise: An Inquiry into the Mystery and Art of Living, she interviews Dr. Ellen Davis, with whom she studied the Hebrew Bible at Yale Divinity School in the 1990’s. In the interview, Davis says that a student approached her one day about how she lectured all the time about care for the “the land.” Davis said, “You can’t go more than a few chapters without seeing some reference to land, water, its lack of health, the absence of fertile soil and water.” Davis realized that in her own travels, she had become more aware of the huge difference between the detailed attention biblical writers give to the land and our obliviousness to the land in the US. Davis answered, “The Hebrew word is a strong word, and I render it ‘exercise skilled mastery amongst the creatures.’[i] The notion of skilled mastery suggests something like a craft, an art of being human… But the condition for our exercise of skilled mastery is set by the prior blessing, in previous verses, of the creatures of sea and sky. They too are to be fruitful and multiply.” Pura vida. Why is travel a spiritual act? Because it reminds me that, as an American and a citizen of God’s world, I can do better in my attempt to live a pura vida that respects the diversity of all living creatures. Because by connecting with and learning from people who are not like me, I am a more responsible world citizen who acknowledges the impact that my decisions can have on people across the globe. Because humbly embodying the love of God, the grace of Jesus Christ, and the transformative power of the Holy Spirit has a difference-maker effect on others and our earth. Because travel enlarges our borders and draws the circle wider than it was before. Once again, Bishop Laurie, you spoke to my heart! Thank you for your powerful message! You have hit the nail on the head! I traveled with my father all over the State of Idaho. Each trip an adventure in education. Dad was the first leader of the Idaho Cooperative Wildlife Research Unit 1947-1967. In this capacity as Leader of the Unit, I learned valuable lessons about the environment and the interaction of human and the rest of God’s creatures. I am in the process of finishing an alphabet book about the state of Idaho which includes stories of my travels with Dad, old photographs, poetry, and a little bit of science thrown in for good measure, to learn more, and reading and computer resources. This project has been an interesting journey and travel was very much an important part. Thanks for your insight, and a belated thank you for the Lenten Bible Study. I really enjoyed both the book that I read through very quickly and the exercises that took a little longer, and the Wednesday gatherings. Do it again next year. Breath-taking richness abound in your words! Thank you for the elegant simplicity of this piece, which makes the words compelling as we are reminded to walk humbly and mindfully with God. Breath-taking richness abounds in your words! Thank you for the elegant simplicity of this piece, which makes the words compelling as we are reminded to walk humbly and mindfully with God. I draw strength and hope from your inspirational writings that you share. Please continue to lead us, your people, with your gentle wisdom for our days. Thank you for the reflection Bishop Laurie. I agree whole heartedly. I am sad when I meet people who have chosen to not travel and meet new people. This was a helpful reflection and info on CR.